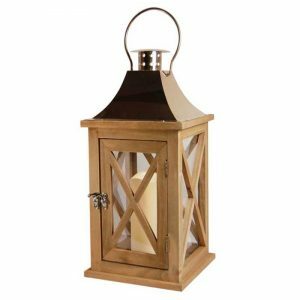 Brown Natural Wood Finish Rectangular Lantern with - VGGIFT | is a very good gift Supplier. 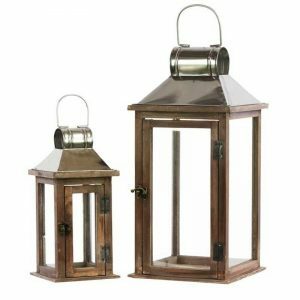 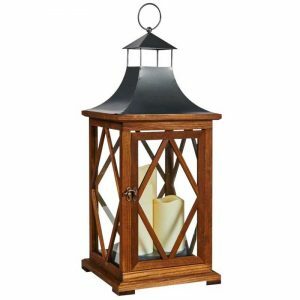 Wood Rectangular Lantern with Silver Pierced Metal Top and Ring Hanger Set of Two Natural Wood Finish Brown. 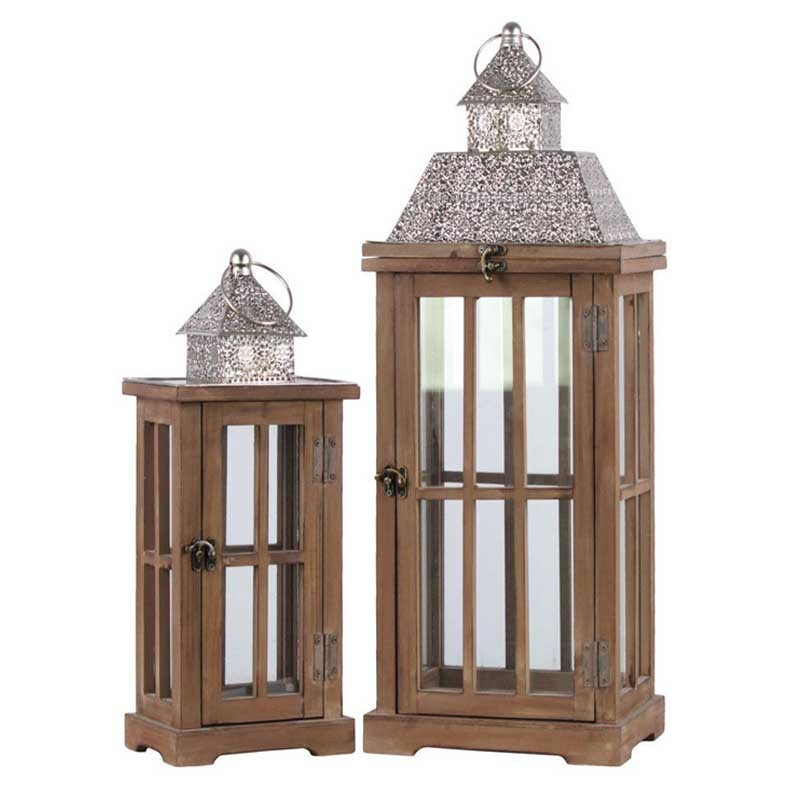 Lend rustic charm to your home design with this set of two rectangular wooden lanterns. 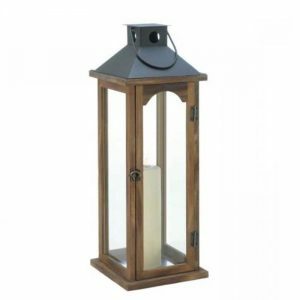 A rich brown finish along with a pierced metallic top maximize the beauty of this decorative piece.